This is part 2 of 3 of the money mindset series. I came across an interesting interview with the German neuroscientist Dr. Gerald Hüther. He explained in his interview why unhappy people can’t resist shopping and are more likely to make impulse purchases. As a former shopaholic and emotional spender, I was very interested in learning about this topic more. I loved the interview and want to share with you the nuggets of wisdom he shared regarding emotional spending. 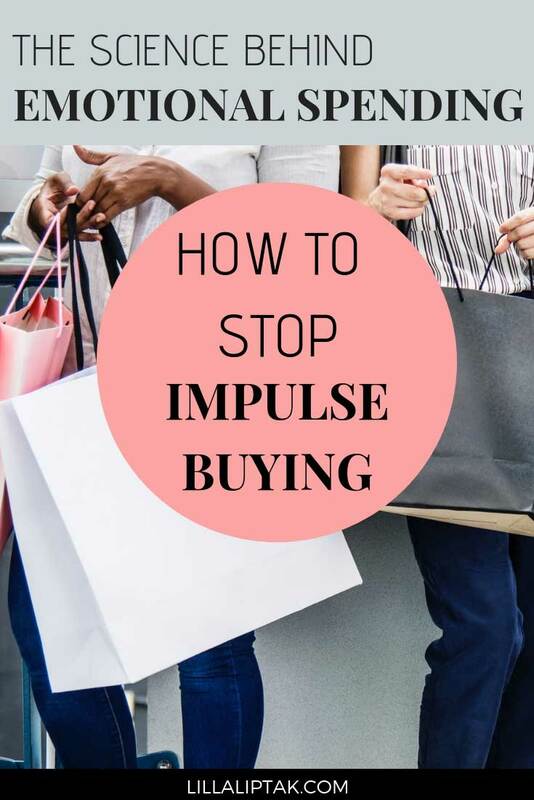 More specifically how emotional spending arises and what you can do about it to stop impulse buying. According to Dr. Gerald Hüther, everything starts with our thoughts. Repetitive thoughts form our beliefs. Our ideas and beliefs are very strongly connected with the emotional centers in our brains. These emotional centers are very strongly connected to our basal body functions. This means that we can experience real pain in our body whenever we have a negative thought. For example about saying goodbye to a cherished person or a convenient idea, habit or environment. These emotional patterns happen on a deeply unconscious level without any reflection. Therefore the feelings and action are unconscious as well. If we want to stop the way we act, we have to change the way we think first. This is also true for emotional spending. Different thinking leads unavoidably to different feeling and to different actions. We are able to rewire our brain by simply thinking different thoughts. This ability is also called neuroplasticity. But why is it so difficult to break with old thought patterns? According to neuroscience, this is so difficult, because we pass it on unconsciously to our children. This means it has been also passed on to us in our childhood unconsciously as well. An experiment with babies illustrated how these unconscious beliefs arise. In the first scenario, a yellow figure tried to climb up a mountain by itself. Second scenario: a green figure came in to help and pushed the yellow figure to the top. In the third scenario, a blue figure came and pushed the yellow figure down from the top. After this scenarios, the green and the blue figure were presented to the babies to find out which one they were more attracted to. 100% of the babies chose the green helping figure instead of the pushing down blue one. In experiment 2 at the age of 1 year, the behavior of the same babies was tested again. Same scenarios and at the end the option to choose between the green and the blue figure. In this case, only 80% have chosen the helping green and nearly 20% of the babies have chosen the pushing down blue figure. The conclusion of this experiment is that the babies have used systemic thinking. Which means that the babies who have chosen the blue figure have seen this pushing down behavior somewhere in their environment. Someone at their home must have been a pushing down person who had success with it and these babies imitated this behavior now. From the biological point of view, it makes sense to follow the behavior of the person who is most successful. We as children were born with a huge brain capacity (⅓ more than in adulthood), full of potential (with large interconnection possibilities) and without any pre-created thought patterns. The only experience babies have at the time of birth is the experience of GROWTH and of CONNECTEDNESS. They constantly grow in their mummy´s womb and they are constantly connected to her before birth. This means their brains save the information of growth (dopamine is released) and connectedness (oxytocin and prolactin are released). The babies are born and expect to experience further growth (they show this in their curiosity) and they expect to be welcomed and connected. Being excluded from a community or experiencing rigorous restrictions activate same brain areas as if experiencing physical pain. The solution is to have the freedom to be able to explore and connectedness at the same time. Whenever we can’t have one of these experiences we are looking for what we can get to activate the reward system in our brain. This leads to a distribution of neurotransmitters in our brains. Dr. Hüther calls them the fertilizer for our brains. This reward system can be activated when we do something that we are very passionate about or through a substitution to bring peace into our brains. For example in form of emotional spending. To cause a change in our belief system and to be able to rethink or to form new habits he suggests, what we need is enthusiasm. Whatever we are doing it must capture our hearts otherwise the underlying unconscious thought pattern will go on. Little kids have enthusiasm all the time because everything is new and miraculous to them. The same type of passion and enthusiasm can change our unconscious thought patterns and to stop emotional spending. Dr. Hüther explains: When you don´t get what you want, you take whatever you can have to activate your reward system. He further explains that we need unhappy children where we are not able to meet their 2 basic needs of growth (going after their passion) and connectedness. Once this is fulfilled and these kids grow up it is very easy to sell them any kind of crap, which they would never buy when they would feel good about themselves in the first place. This is basically the scientific explanation why we make impulse purchases and buy things we don’t really need. Especially if something isn’t going well in our lives. All we lack in these moments is either the lack of growth or the lack of connectedness. Whenever we feel unconsciously emotional pain, we tend to buy something that we don´t really need just to reward ourselves. Products which we buy, but in the end rarely or never use as a result of emotional spending. I guess we all had or still have such items at home. What can you do to stop emotional spending? Give yourself 3 days to rethink if you really want and need what you’re about to buy. Ask yourself in which area of your life you feel lack at the moment? Does it have to do with personal growth or with connectedness? How can you bring more enthusiasm into your life? Our thoughts influence our feelings and our feelings influence our actions. Repetitive painful thought patterns lead to emotional spending. In most cases, our beliefs are formed unconsciously. We think certain thoughts over and over again until we have a belief. Our brain isn’t fixed. It’s possible to change our thoughts, feelings, and actions. We can change our beliefs by repeatedly thinking new thoughts. The only 2 things we humans are really longing for is growth and connectedness. We want to explore and grow as a person and connect with other people. Whenever we feel a lack in either of these 2 areas we feel unconsciously a certain pain in our brains and want to fix this. We can fix it by rewarding ourselves for example by purchasing a new pair of shoes. This then is called emotional spending, impulse buying. We can stop impulse buying by checking in with ourselves and making sure that our 2 basic human needs of growth and connectedness are met. The freedom to explore combined with having the feeling of being connected is the key to form healthy/painless thought patterns. 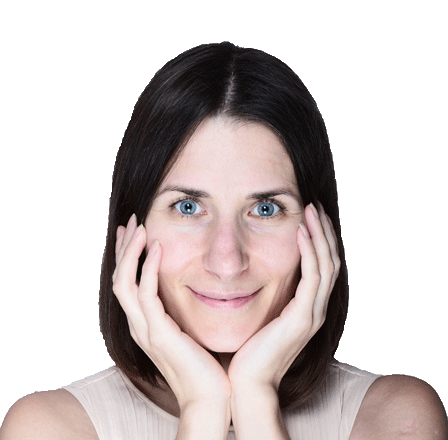 By following our passion, going for our dreams, exploring freely and connecting with like-minded people we do something we are enthusiastic about and can change old painful thought patterns and create new healthy habits. What is your tactic or strategy for conscious shopping and against emotional spending?